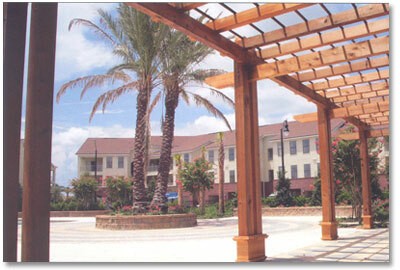 Founded in 1565, St. Augustine is affectionately known as "the Oldest City." The Spanish settlement that is now the business center of St. Johns County was founded 42 years before the English colonized Jamestown and 55 years before the Pilgrims landed at Plymouth Rock. 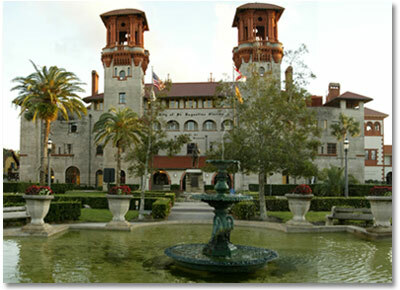 St. Augustine abounds with an astounding array of historic sites and buildings. Take a stroll along historic St. George Street and you drift back to a time when cobblestone streets were the rule of thumb and life was simpler. Each year, more than 40 festivals and other events are staged that bring the ambiance of the Old City to life. Many of these annual events feature re-enactments where participants are dressed in period costumes reflecting the St. Augustine of old. St. Augustine is the gateway to experiencing the county's 42 miles of unspoiled beaches. Our coastline is second to none and residents and visitors alike have the opportunity to drive on, park, picnic and enjoy the beach in designated areas. Good wave breaks have made St. Augustine Beach a popular spot for surfing. The St. Johns County Pier is a popular gathering place for fishermen and offers a weekly Farmers Market as well. Fishermen, sun worshipers, bird watchers, campers and everyday fun-seekers enjoy sandy beaches devoid of commercial development in Anastasia State Park and Recreation Area. Housing choices range from beachfront cottages to city bungalows to oceanfront luxury. Waterfront condos have also become available in the city in recent years tapping into the growing condominium development trend on the First Coast. 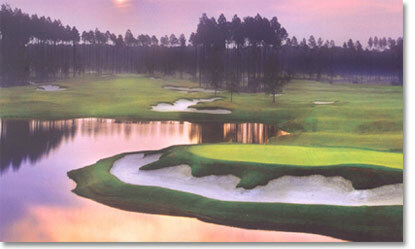 Marsh Creek Country Club is uniquely situated on more than 800 acres on Anastasia Island in St. Augustine, Florida and is the oldest city's only private country club community, Marsh Creek brings together the ultimate experience of Intracoastal marches, luxurious homes, bountiful wildlife, and a top-rated championship golf course. The Atlantic Ocean is just four blocks from Marsh Creek on Anastasia Island where you'll find some of the world's most beautiful beaches. Get ready for some peaceful relaxing walks on the beach or enjoy a family bike ride together in the sand. If it's a golf community you're looking for, look no further than Royal St. Augustine Golf and Country Club, which offers 18 holes of championship golf in a warm and inviting atmosphere surrounded by exotic wetlands and all nature has to offer. As you enter the Royal St. Augustine clubhouse, you are welcomed by a beautiful entryway complete with Queen Anne chairs and antique furniture. The d?cor of the club is both warm and inviting. The Tavern boasts a wrap around wooden bar, cathedral ceilings, and gas fireplace that make for a perfect setting for any social or business event. Boating enthusiasts find St. Augustine an ideal location for easy access to the ocean through the St Augustine Inlet, which is visible from downtown. Award-winning public schools are one reason St. Augustine and St. Johns County are one of the fastest-growing counties in the U.S., according to the U.S. Census. Home of Flagler College. The city also has a diverse economy offering a solid balance of tourism, banking, service sector and manufacturing jobs.